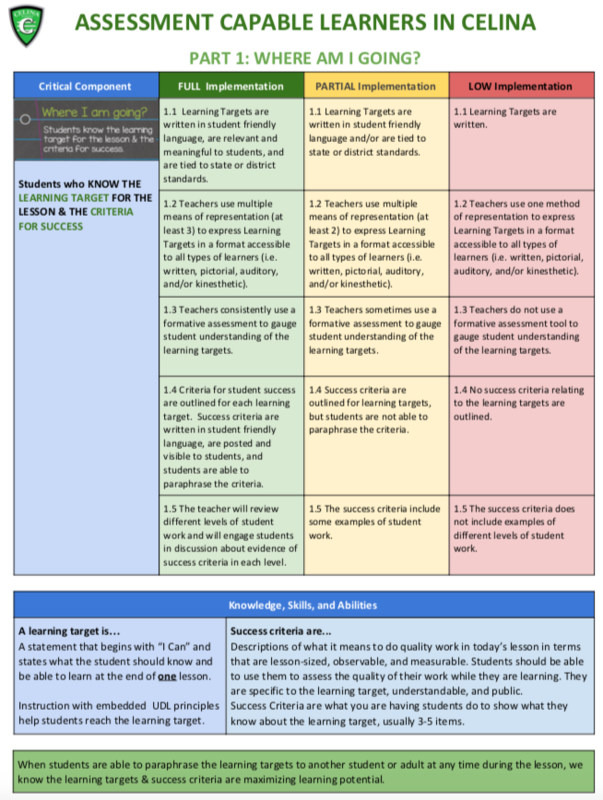 As part of our work with the Ohio Improvement Process [OIP], the District Leadership Team [DLT] was tasked with identifying a strategy that could be implemented districtwide & would have a positive impact on student achievement. 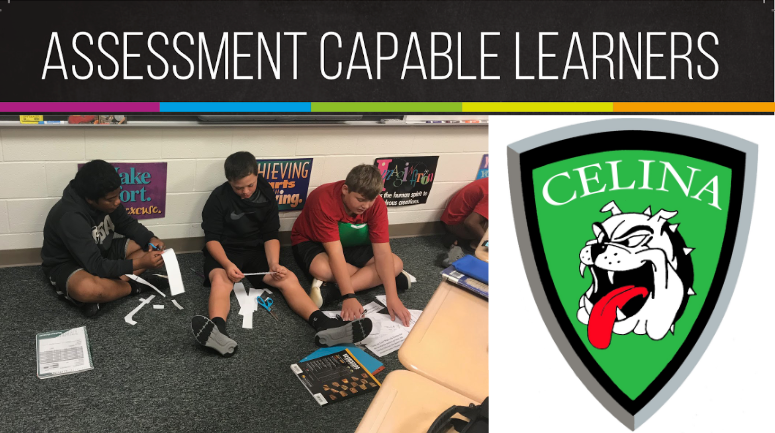 In early 2017, our DLT chose Assessment Capable Learners [ACL]. In doing so, we made a long term commitment to learn about this strategy, to determine how to make it most effective, & to establish a framework for success in CELINA. 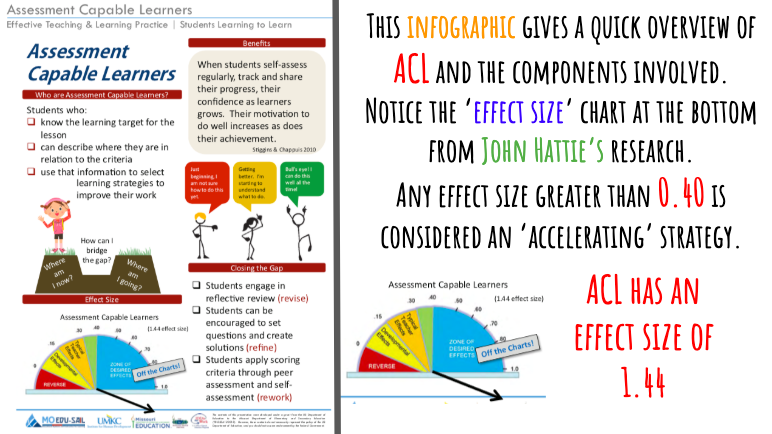 ACL slideshow explaining the components and intended outcome of our strategy. A timeline with our history around ACL, including links to handouts and resources, and our plans for future learning and professional development.